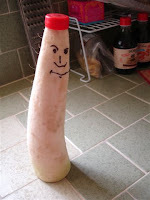 I love Daikon Tony. He's adorable. Maybe you can get another and glaze it with something to preserve it after you turn it into Tony # 2?